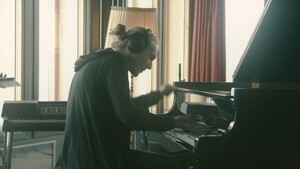 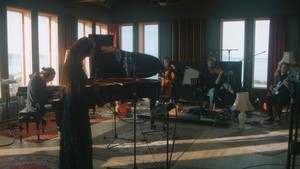 Following the success of two highly-praised albums on Kscope, Belighted and Lighthouse, Russian duo Gleb Kolyadin and Marjana Semkina have released a new studio film shot at and named after a remote recording studio on Giske, a Norwegian island. 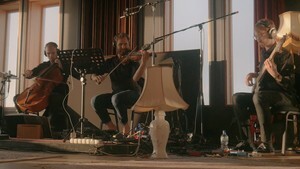 The footage offers a behind-the-scenes insight into the recording techniques of two of modern progressive music’s most talented composers. 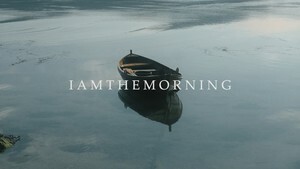 The content captures Iamthemorning’s live set-up from the last three years, with the setlist consisting of songs from their first three studio albums and an unplugged recording of “Blue Sea”, the first track to be written for their upcoming fourth album and exclusive to this Blu-ray disc.